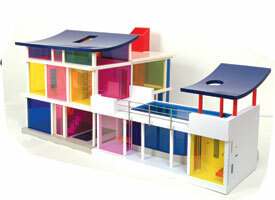 The Kaleidoscope House is an interactive creative play environment for 6 year olds and above. 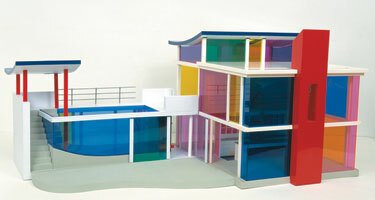 This 1:12 scale modernist architectural house, with sliding transparent color walls, invites children and adults alike to fill it with an exciting accessory line of modern furniture from respected contemporary furniture designers including Dakota Jackson, Karim Rashid, Ron Arad, and Keiser/ Newman, paintings, photographs and sculpture by Peter Halley, Carroll Dunham, Laurie Simmons, Cindy Sherman, Mel Kendrick and realistic "action figures" of the artist, architect and family. 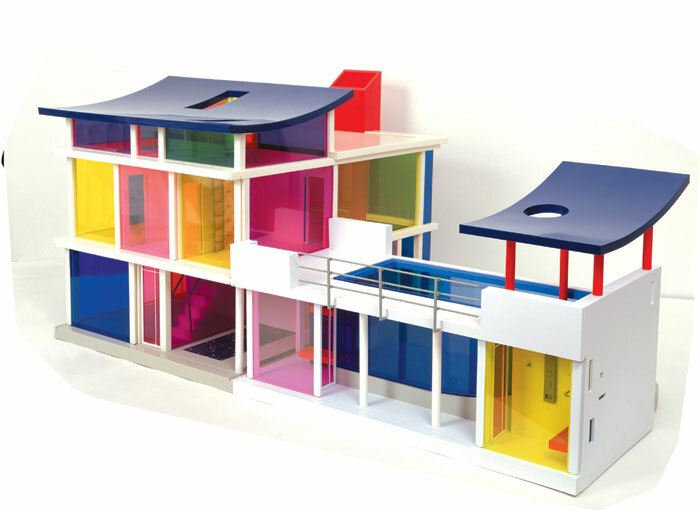 As the interchangeable exterior walls of the dollhouse slide open and overlap one another, their colors change in hue and value. 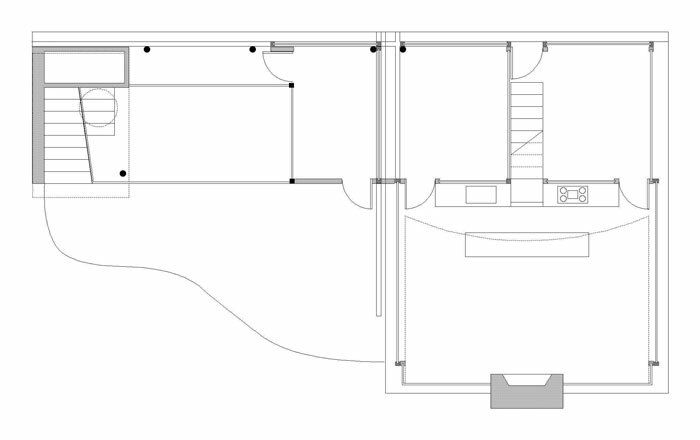 The floor plan measures 22 x 28 x 24 inches. Future plans include sets of important modern furniture designs grouped according to their historic period in collaboration with the Vitra Design Museum, house additions, and additional figures of friends, family and pets. The Kaleidoscope House was conceived and designed by artist Laurie Simmons and architect Peter Wheelwright. Simmons, who is known for dollhouse imagery in her photographic work, has exhibited extensively in one-person and group exhibitions both nationally and internationally. These include a one-person exhibition at the Baltimore Museum of Art, Maryland (1997); participation in the Whitney Biennial (1991), Art of the 20th Century (1999) at the Whitney Museum of American Art, New York; and group shows at the Museum of Modern Art, New York (1991 and 1992). Wheelwright, Chair of the Department of Architecture at Parsons School of Design in New York City, is known for his residential work, which has been extensively published both nationally and international, including Ottagona & Casa Bella (Italy), Clique (Japan), and House & Garden, Metropolitan Home, and New York Magazine (US). Bozart Toys is a company established to provide museum-quality visual artists with an opportunity to design creative, non-violent, artistic and FUN toys for children. (Philadelphia, PA)—Bozart Toys by Artists continues moving in an architectural direction with a Pool Pavilion extension and additional artist/architect designed Kaleidoscope House accessories. The Kaleidoscope House Pool Pavilion is a 1:12 scale modernist architectural playhouse extension, which connects smoothly to the award winning Kaleidoscope House or works as a stand-alone object. The Pool Pavilion includes a transparent roof top pool that can be filled with water, a cabana, sauna and a modernist curved terrace. It incorporates sliding transparent color walls, which create exciting elevation views of the pool as the colors overlap, changing in hue and value. Children and adults alike can use their imaginations to walk out of the Kaleidoscope House bedroom to the deck for a swim (with swimming figures), relax by the pool or on the terrace in an exciting accessory line of modern furniture from Michael Graves and Spanish designer Gandia Blasco. Dry off with R.W Kitchen towels and bathmat and fill the planters and flowerbeds designed by Caroline Stewart and Eliza Hicks. Enjoy outdoor sculpture by Jon Newman, Joe Wheelwright and Tom Otterness, included in art kit II. 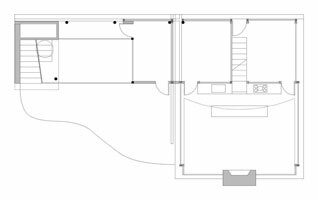 The floor plan measures 28 x 14 x 18 H inches. New 2001 Kaleidoscope House accessories include Art kit II with work by Sarah Charlesworth, Barbara Kruger, Alan McCollum, Alexander Ross, Lisa Yuskavage and the outdoor sculpture previously mentioned. A 1:12 reproduction of The Dakota Jackson Steinway Tricentennnial Piano, The Kaleidoscope Kids, 6 multi-ethnic friends and pets, a home office from Asymptote Architecture (Hanni Rahid and Lise Anne Couture), a dining room from Karim Rashid, kitchen accessories with dishes by R. W Kitchen and barstools by Ross Anderson, a birdcage from Billy Sullivan and a modular living room set from Jasper Morrison. 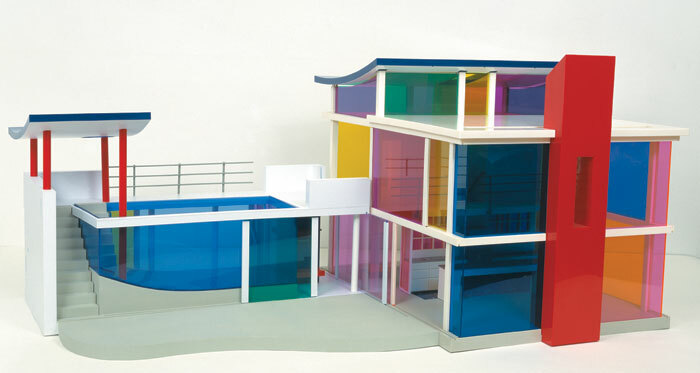 The Kaleidoscope House was voted one of the toys of the year by Child Magazine and Top Ten 2000 by Lisa Leibman in Artforum. It appeared in numerous publications including The New York Times , The Washington Post, Architecture, and House and Garden. The house is included in an exhibition at The London Design Museum opening January. The house, Pool Pavilion and Laurie Simmons’ new photographs were the subject of an exhibition at Deitch Projects in New York in November 2000. The Kaleidoscope House and Pool Pavilion were conceived and designed by artist Laurie Simmons and architect Peter Wheelwright. Simmons, who is known for dollhouse imagery in her photographic work, has exhibited extensively in one-person and group exhibitions both nationally and internationally. These include a one-person exhibition at the Baltimore Museum of Art, Maryland (1997); participation in the Whitney Biennial (1991), Art of the 20th Century (1999) at the Whitney Museum of American Art, New York; group shows at the Museum of Modern Art, New York (1991 and 1992) and most recently,"Open Ends" at the Museum of Modern Art, New York 2000-2001. Wheelwright, Chair of the Department of Architecture at Parsons School of Design in New York City, is known for his residential work, which has been extensively published both nationally and international, including Ottagona & Casa Bella (Italy), Clique (Japan), and House & Garden, Metropolitan Home, and New York Magazine (US). Mr. Wheelwright has been a visiting critic at Cooper Union, Columbia University, Cornell University, Harvard University, Pratt Institute, Princeton University, University of Pennsylvania, and Yale University. A complete museum list and biography is available on our website with links to Mr. Wheelwright’s website. Bozart Toys is a company established to provide museum-quality visual artists with an opportunity to design creative, non-violent, artistic and FUN toys for children. The Kaleidoscope House came out of our shared interests in domesticity and in particular the changing practices of home and family. Our individual work in photography and architecture has focused on these issues, and the promptings of our respective children have often figured in our thinking. Clearly, there is a need for a new dollhouse in the family playroom. Our hope is that The Kaleidoscope House with its sliding transparencies and changing aspects will view give a colorful view into new playful possibilities.